This is a pack of four optional Pro-Line 4mm Serrated Wheel Lock Nuts, and are intended for use with vehicles with 4mm axles. 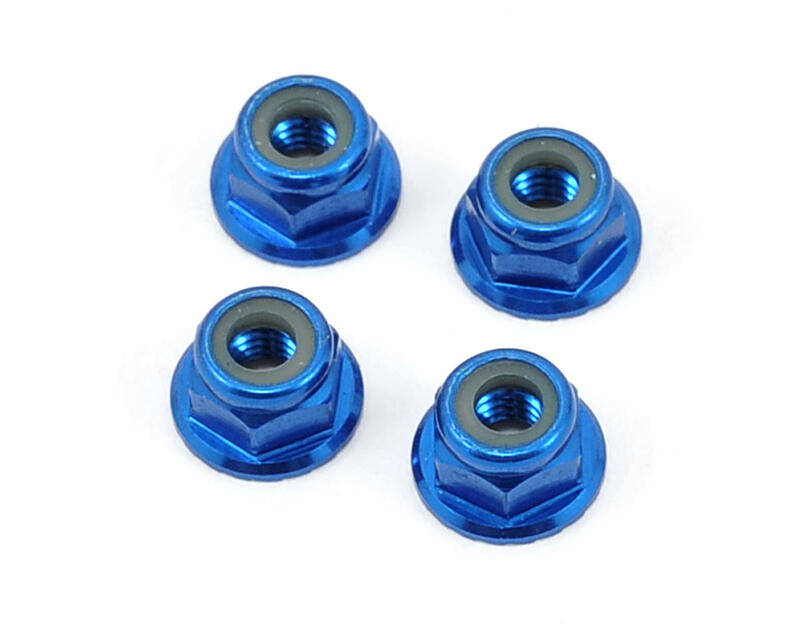 These Pro-Line Blue Anodized Aluminum Nuts have deep serrations that dig into the wheel and provide a secure hold against the rigors of racing and bashing. 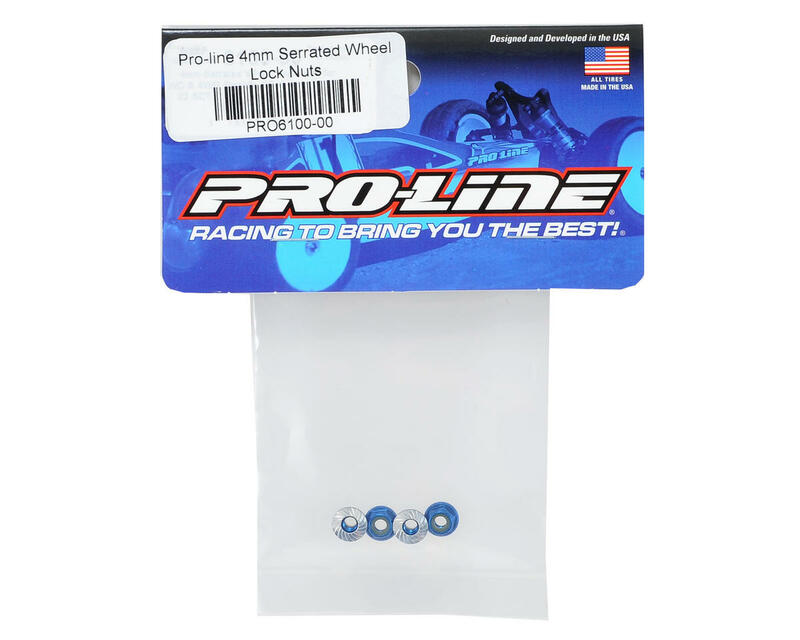 The second layer of protection delivered by these Pro-Line serrated nuts is the nylon lock ring that prevents the nuts from loosening due to vibration and centrifugal effects. Great looking finish on these wheel nuts, they're the first thing I notice when I look at my truck. Once you lock them down they stay on there tight. Only problem is that the nylon came out of two of them after a couple runs. Even though those 2 are still usable, I would have hope they would have lasted longer.